Have a frozen shoulder or shoulder pain? Are you sick of not being able to raise your arm without pain or restriction in your shoulder? As the shoulder is used for so many types of movements in the upper body, problems with shoulders can affect so much of our day to day lives. HOW WE CAN HELP RELIEVE YOUR FROZEN SHOULDER! Whether it’s throwing a ball with your kids, or simply being able to raise your arm to scratch your back, too many of us put up with shoulder dysfunction. The shoulder is complex, with many muscles and bones articulating with each other. As such, there are many potential issues. Melbourne Muscular Therapies practitioners are trained to utilize the customers intuition and understanding of their own body, to quickly find the problem areas to fix. Then use a slow and effective technique to melt away any solidified tissue in the shoulder. This melting of the tissues will allow freedom of movement and eliminate the pain in the shoulder. We should be able to move and do basic daily activities without a problem! With our treatment, you’ll be reaching overhead and wiping your bum like a champion in no time! How did I get a frozen shoulder? There are many reasons why Frozen Shoulder occurs. Injury, chronic rotator cuff strains/tears, neuromuscular guarding, and emotional stress can lead to Frozen Shoulder. 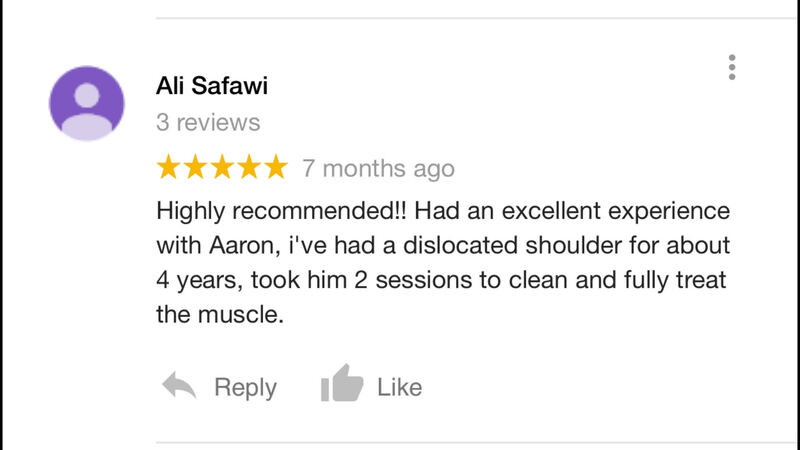 It is important to get your shoulder treated at the first sign of pain and dysfunction. Frozen Shoulder is a chronic condition, which usually occurs when shoulder injuries are left untreated. However, in some cases Frozen Shoulder may have a quicker onset. How can I relieve my frozen shoulder? Restoring range of motion to the shoulder joint is of paramount importance when rehabilitating Frozen Shoulder. Tight, over active muscles within the shoulder and rotator cuff can become very painful when trying to move the arm, especially movements requiring reaching up or rotating. These areas of tightness and pain need to be released in order to restore pain-free movement. Painful movement will also lead to neuromuscular guarding. Using your self-massage tools, Lacrosse Ball, Spikey Ball, and Theracane try to pin and hold points of pain within the shoulder, pecs, upper back, and rotator cuff. Releasing these muscles will assist with improving movement. How can help with my frozen shoulder? Our signature SCT Release Deep Tissue Massage techniques are proven to assist in eliminating Frozen Shoulder and restoring pain-free range of motion. The depth and slow pace of our treatment will release areas of solidified tension within the shoulder, and also calm the nervous system to relieve and ultimately eliminate your Frozen Shoulder pain.